I am handfuls of culinary delight at 2 Olives. I am the freshly baked bread of Vovo Telo. I am drums and guitars at the Richmond Hill Festival. I am the quaint décor and gift shops. I am Richmond Hill Agent, Sonja Tredoux. Hi there, I’m Sonja Tredoux. 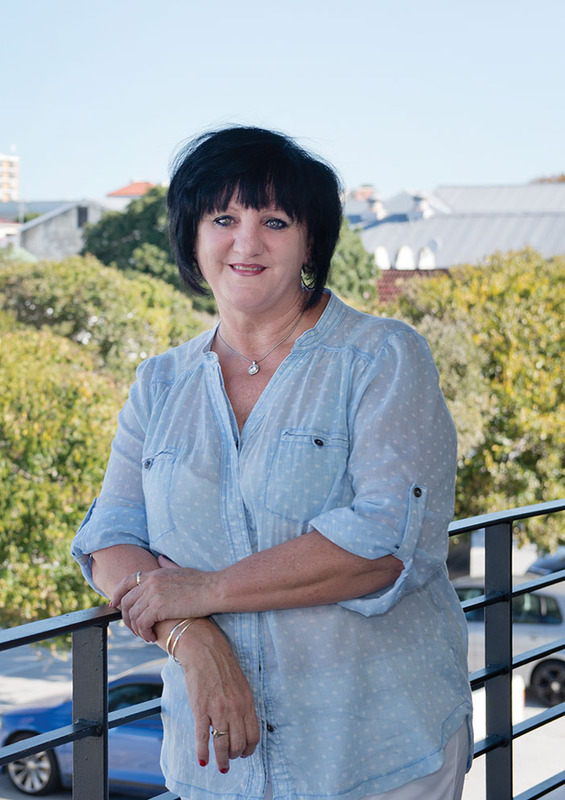 When I moved to Port Elizabeth in 2005, I joined Pam Golding Properties and have never looked back. I specialise in residential, full title and sectional title sales in the quaint suburbs of Richmond Hill, Central, South End and North End. I have been in the real estate industry for more than 11 years and have both my NQF4 and Professional Practitioner in Real Estate (PPRE) qualifications. I’m now in the process of completing the three year Continuing Professional Development (CPD) programme. Richmond Hill has been my home for the last nine years, an area which constantly delights with its character homes and rich history. On track to become Port Elizabeth’s version of the Sea Point urban renewal success story, it’s being beautifully cleaned up and restored. Living and working in the area allows that I’m up to date with the local property market as well as my clients’ needs. Finding the perfect investment property or home for a buyer is hugely rewarding for me as it’s one of the reasons I love what I do. A people’s person by nature, my job allows me to interact with all cultures and backgrounds, in all price brackets. I listen carefully to what my clients require and go as many extra miles as it takes to find the right property and negotiate the best deals for all parties. This commitment manifests in ongoing referrals from clients to their families and friends and makes me very proud. Over the years, I’ve built up a strong base of investors outside Port Elizabeth who trust me to find good investment properties for them and to give them sound advice. It gives me great satisfaction to guide my clients through the selling process. Every property is important to me, whether a R300 000 flat or a R2 million townhouse. I have a large portfolio of listings that includes flats in Central, houses priced from R900 000 in Richmond hill and R2m+ townhouses in South End. When I am not busy with clients or in the office, I love spending time with my family or socialising with friends. One of my favourite places is 2 Olives Restaurant in Stanley Street, not only because it belongs to my son-in-law and daughter but also because it has such a fabulous atmosphere. This is where I often meet my clients to discuss business over a cup of coffee or a cappuccino. I also love travelling to new places and meeting new people. My philosophy is simple: that you need a balance between work and your personal life, and what you put in is what you get out of life. Get in touch and let’s discuss how I can help you with your property requirements.